We don’t always hear about the fascinating and potentially beneficial work being done by scientists and researchers in Ottawa and beyond. If anything, sharing environment-related science is becoming increasingly difficult. Thankfully, several museums, academic, health and scientific institutions are bringing science to the public through Cafés scientifiques—informal discussions in comfortable settings that allow anyone interested to find out more about the work and its implications. 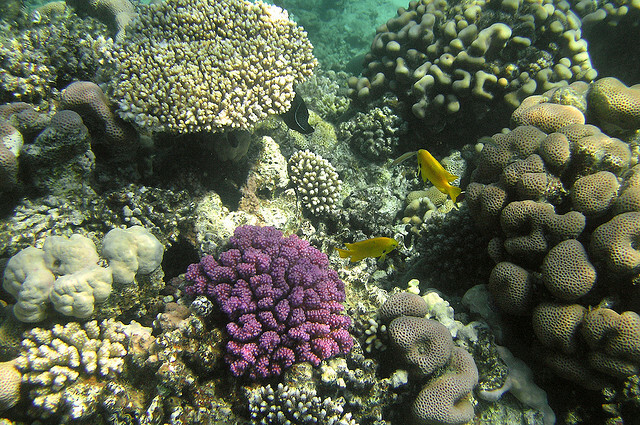 Defibrillating the canary: Coral reefs last gasps on Wednesday, April 10, 2013. Dr. Nigel Waltho, Department of Biology at Carleton University, will introduce threats facing earth’s coral reefs and what’s being done about them. One of Carleton University’s Science Café series, the chat takes place at the Wild Oat Café (Bank and Fourth) from 6:30-7:30 p.m. Location, location, location: Improving the health of your Ottawa neighbourhood on Thursday, April 11, 2013. Speakers from the University of Ottawa and Ottawa Public Health will outline the Ottawa Neighbourhood Study, a research project on health and well-being in the city (which is influenced by neighbourhood factors such as green space and access to healthy food). It’s a conversation about how the city, community groups and citizens can create a healthier place to live. Part of the Canadian Institutes of Health Research Café Scientifique series, it happens at 107 Murray St. at 6 p.m.